Have you heard about this one?? Here's what caught my attention about Gabriela Rosa's 12 Day Fertility Challenge- "Act Pregnant Now to Get Pregnant Later." First off, this is not a spiritually-based challenge, so I'm intrigued to get started and see how it lines up with my faith! But- I think there's something to that "act pregnant now" bit!! If you've been around our community for long, you know we're ALL ABOUT the power of our thoughts and our words! Billy and I are looking forward to starting the challenge on July 4. Wanna join us? While I was waiting for God to grow our family, I allowed envy and jealousy to creep into my heart. It was so hard to be happy for my friends that were pregnant. Again. Especially when they would complain about their pregnancy and I would try to be the supportive friend. But, honestly? I was mostly annoyed. Maybe you know how I feel? But what if instead of being a group of women that is jealous and envious of the pregnancy (or being matched for their adoption, the promotion of a friend, picture perfect vacation) we use the time that God has given us? Because when we allow jealousy in one area of our life, it seeps into alllllll the others areas as well. What if we use this period of waiting to pray fervently for others, give generously of our time, and make the choice to flourish. The enemy may have thought that the struggle to grow your family would crush you, that it would destroy your faith, or that it would cause you to walk away from God. But instead, what if you ground yourself deeper into the word of God, and prove to him that in your battle you only become stronger, a greater warrior, and you are able to point more people to God? Instead of furthering his kingdom, his attack against you builds the kingdom of God. Instead of wallowing in self pity, make the enemy sorry that he ever messed with you! I’m so passionate about this! Friends, satan is attacking your seed. He’s attacking the men and women who would raise their children to be strong children of God. Once I realized that satan was afraid of the men and women of God that I would raise, I pursued our adoption so hard! I filed our paperwork in confidence and prayed relentlessly for the child that God would bring us. I knew that the enemy was afraid of our future child because he tried to sabotage it in so many ways. Satan wants to steal your voice, silence your prayers, and make you look at God and question his goodness. I believe that the rampant battle of infertility we are dealing with is his strategy to cripple the next generation of Christians. Because prayer is our most powerful weapon in our battle and grow our families, satan wants to cause us to distrust that weapon; to distrust the power of God, and distrust his goodness. Does this make you angry? Write down your prayer strategy. Do not grow weary in praying for your future children. Keep believing that God will provide the resources, heal your/spouse body and that there will be a successful pregnancy/adoption. Don’t stop believing in the power and love of our God. If this is something you’d like to read more about, I would love to recommend the book “Fervent” by Priscilla Shirer. This post is not sponsored in any way. Post written by Amanda Hogue. Amanda is a stay-at-home mama to her sweet adopted daughter. She enjoys long conversations over an iced coffee, mystery novels books, and any type of chocolate. 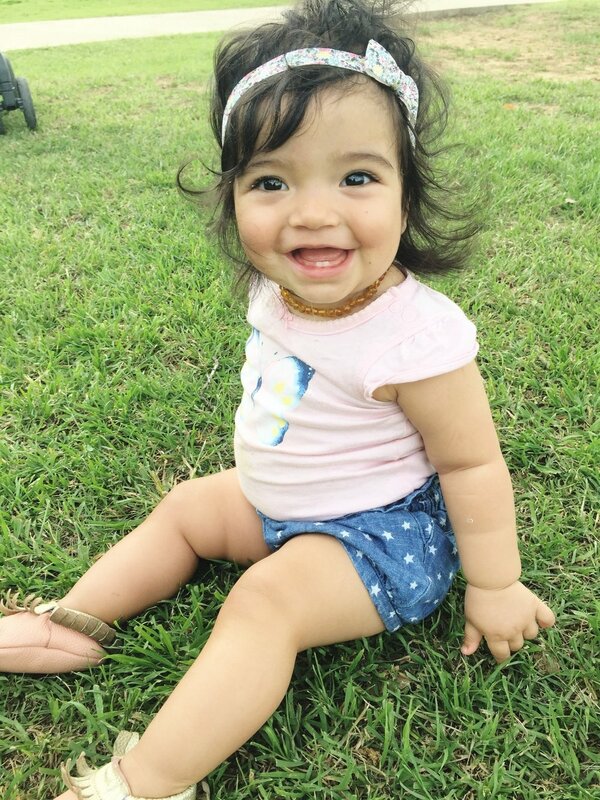 You can find her discussing adoption over on instagram and sharing adoption resources at her own corner of I Am Fruitful! This story is so heavy on my heart, I’m bursting to share it with this community!! In 2 Kings 5 there was a very well respected army commander and mighty warrior named Naaman. But he had a horrendous disease, leprosy. He had an opportunity to meet Elisha the prophet, and Elisha told him to go wash in the Jordan 7 times. You know what Naaman did? He lost his temper and said “I thought he’d personally come out and meet me, call on the name of GOD, wave his hand over the diseased spot, and get rid of the disease. The Damascus rivers, Abana and Pharpar, are cleaner by far than any of the rivers in Israel. Why not bathe in them? I’d at least get clean.” Then he stomped off as mad as a hornet (the Message version says). He EXPECTED something else. He decided step by very specific step what his healing should look like, and when it didn’t turn out like that, he decided not to participate in his own miracle. OMG. This. We just expect things to be a certain way. We expect for God to require some heroic act or some grave sacrifice. Some of us expect to do nothing and that God will wave His hand and do all the work (and praise God that He does that sometimes!!). But whatever our expectations, many of us have highly dysfunctional ones. My desire is this: to be fully expectant that He will move on my behalf. Be fully present with the Lord so that I hear and have courage to obey- no matter how big or how small His request of me. If he asks me to take another job. Done. If He asks me to wait. I wait. If he puts it on my heart to see a doctor. I’m calling today. If He wants me to simply receive. I put myself in a posture of worship. If He asks me to “wash and be clean” then I’m jumping in that dirty river. If something doesn’t look like I expected, I pray that God fills me with the faith to displace the lies of the enemy. I pray that He fills me with the courage to do the smallest and the hardest things. I pray that I have the faith to live my OWN story and not HERS. I pray that God increases my capacity and my understanding! And I pray this for you as well!! What if we take God outside of our dysfunctional, stereotypical, and limiting boxes- and we let Him work as He wants to? Imagine the possibilities!! Imagine the stories and the healings and the miracles and the BREAKTHROUGHS! Imagine all the glory that our Father receives when we trust His plan. Naaman ended up following the advice of his servants. He went and immersed himself in the river seven times. And do you know what happened? He was not slowly or partially healed of the most disgusting and isolating disease of that time- the Word says his skin was “restored like the flesh of a little child” and “like the skin of a little baby.” He went from having disgusting and painful skin infections all over his body to having BABY SKIN!!! For Naaman, making that simple act of faith by bathing in the river was HARD. It was humbling and it challenged him. But he did it anyways!! And God moved. And his whole life changed because of his physical healing!! Friends, God still heals. He still restores. He still does miracles. Your leprosy may be PCOS. Maybe it’s the absence of sperm or an organ that isn’t functioning properly. Maybe your mind isn’t working like it should and you’re dealing with mental illness and feel shunned by those around you. Maybe you have cancer. I want to encourage you that nothing you’re facing is too big for our Healer. Seek Him daily and continue to do what He asks (whether big or small). If you’re not sure what He’s saying to you… press IN! Spend time praising. Spend time listening. He will direct you!!! And I believe you will see the full manifestation of your healing! May we never limit God with our dysfunctional expectations. We discussed adoption before I took out my Nuvaring and starting trying for a family. It felt 100 years away, but looking back, I know God was preparing our hearts for a unique way to grow our family. After we’d been trying to conceive for almost 2 years, we went through a series of fertility testing and the results were devastating. We didn’t really have an option for fertility treatments. I would have given everything at the time for even a 15% chance of conception, but in hindsight, I’m so grateful that the door was closed and locked. I would have spent years trying to break down that door to experience pregnancy, but instead God directed us back to adoption. I remember that conversation with my husband so well after his results came back. We went to Market Street, ordered a beer and stared at each other for a while. When I look back at that meeting, I’m so amazed at our initial response. We knew that God was asking us to adopt, and we knew that there was a little girl out there that needed us as a family (it’s so sweet, we always saw our first as a daughter which is what God gave us). Our purpose is to give God glory, and he will do what he does in our life for his glory. Our story includes the beautiful gift of adoption, and it was hard, oh gosh, it was hard. I know that God could miraculously give us a biological child, but in the meantime, he’s given me a heart for the child without a family. God used infertility to grow our family through adoption. His miracle was that he brought the most beautiful (if you think I’m biased, join me for a trip to the grocery store where I have to swat people off my daughter because they are obsessing over her! ;), sweet daughter into our life through the gift of adoption. 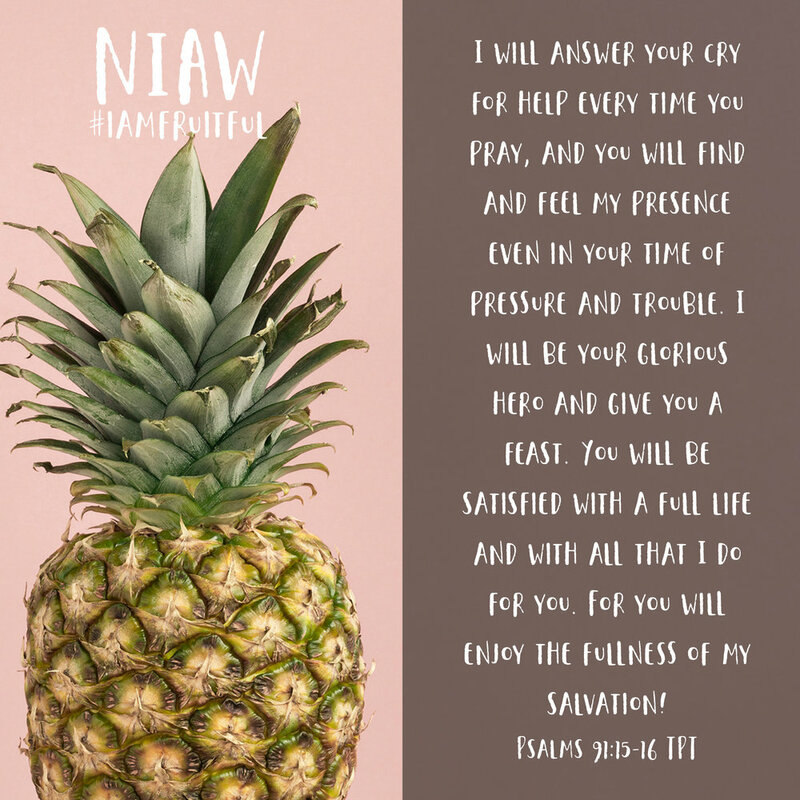 You can let NIAW breed fear in your life, or ask God how he is going to redeem this struggle. Guest post written by Amanda Hogue. Amanda is a stay-at-home mama to her sweet adopted daughter. She enjoys long conversations over an iced coffee, mystery novels books, and any type of chocolate. 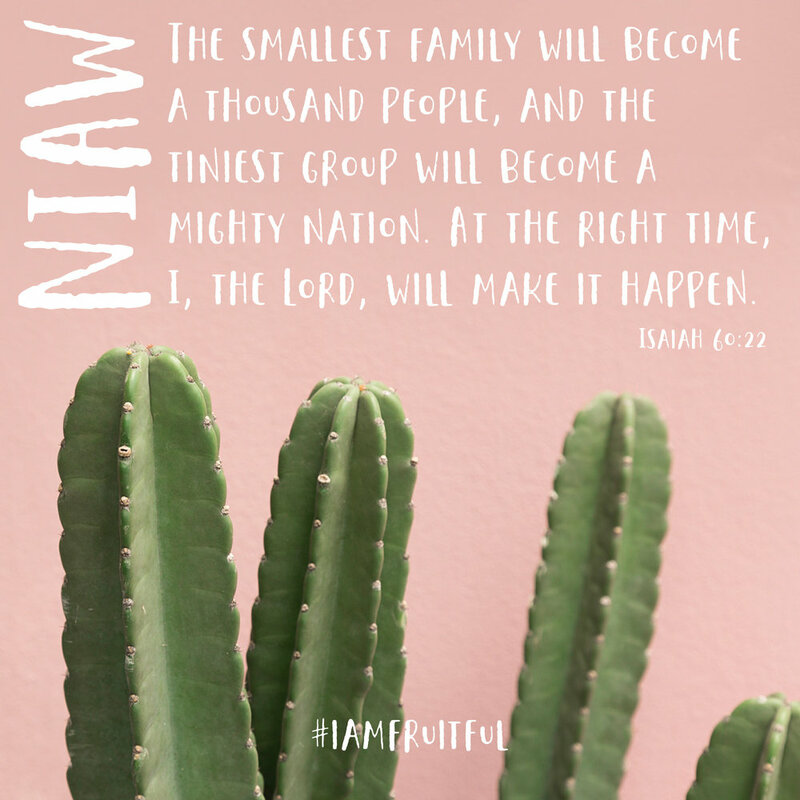 You can find her discussing adoption over on instagram and sharing adoption resources at her own corner of I Am Fruitful! Many of us know the stories written in the New Testament about Jesus healing the lame, restoring eyesight to the blind, and cleansing the lepers. But did you know the first recorded healing mentioned in the Word of God involved barren wombs? Just 20 chapters into the Bible we are told of King Abimelech's maidservants who were unable to bear children until Abraham prayed for them and they were healed. Then just a few short chapters later we learn of Abraham and Sarah who couldn’t have children, but God blessed them with Isaac, even in their old age. Not too long after that we read of Isaac and his wife Rebekah who struggled to have children but God blessed them with twins! Can you believe it? Twins! Even before fertility medication! But it doesn't stop there. Later in the same book we learn of Jacob and Rachel who were also barren, but God healed and blessed them as well. And we can’t forget Hannah who after many long years (perhaps over a decade) of suffering and heartache, God not only blessed her with Samuel, but five more children. FIVE! And while I find all of this fascinating, because let’s face it, there is always something special about the first mention of a miracle in the bible, what I find most hopeful in each of their stories is this: not one time does God ever mention why they were unable to conceive. He could have easily told us it was due to Polycystic Ovarian Syndrome (PCOS), endometriosis, blocked Fallopian tubes, low ovarian reserve, massive fibroid's, poor egg quality, uterine lining issues, or even no uterus. Or he could have at least mentioned that it had nothing to do with her but rather an issue with her husband. And do you know why I find this so fascinating and hopeful? I believe it shows that it didn't matter why and it wasn't important to God to mention why because ultimately when it comes down to it, it doesn’t matter. Because when He planted this desire deep within the soft fertile soil of your heart, He wasn't looking at your medical chart and what stage of endometriosis your doctors say you are in. He wasn't looking at your bank account or insurance coverage to determine if medical intervention was an option. He wasn't looking to see how many Fallopian tubes you have or do not have. He wasn't counting your husband's sperm and checking to see if they were "usable." No, sweet friend. The only thing He was looking at was His grace partnered with your faith that could and would overcome it all. Sweet sister, if you are struggling to believe God cares about your unfulfilled longing to be a Mama, know today that He does. His word wasn't written so that you can just know what He did, but also know what He still wants to do. He wants to take you from barrenness into fruitfulness. He wants to take you from lack into abundance. And nothing you are facing or will ever face can stop Him. He gives life when life is “impossible,” and He is the healer of any life that He has created. Hi friends, Amanda here! When my IG friend @waitingforbabybird recently posted a version of this post, I immediantly teared up. I just knew that this message was exactly what you, my friend, needed to hear. You are not alone in your struggle to conceive, and we're praying for you. If you are still waiting for an unfulfilled to be a mom, please reach out to us so we can pray for you! 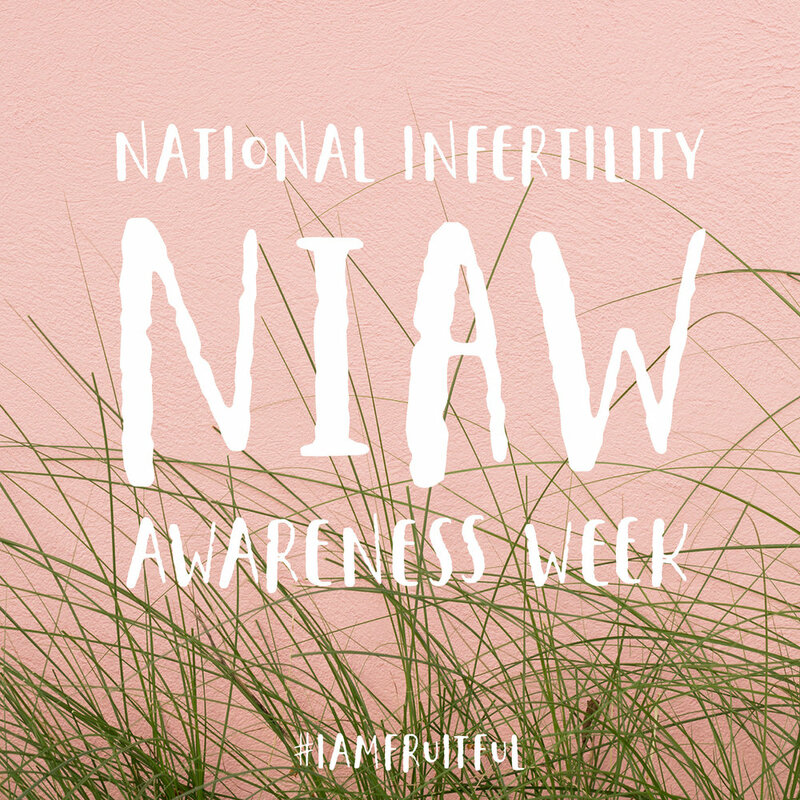 Since National Infertility Awareness Week (NIAW) is coming up, Lauren got to work and created free graphics for YOU to share as you please leading up to and during NIAW! During such a difficult week, we want to spread the hope of GOD and would love to see a shift in the attitude infertility posts. That is why these graphics are uplifting, faith-building, and hope-inspiring! This is our third year in a row to provide free graphics for the TTC Community! For a TON of ideas on how to bring awareness to infertility, go HERE. Save these graphics and iPhone wallpapers to your phone and share on social media! I asked a couple of the ladies on our Prayer and Prophetic Team to pray and ask the Lord for a word for this community for 2018, and I'm so thrilled to share it with you today!! It is NOT too late to personally ask the Lord for a word for yourself and your family. For some, that literally means a single word like "restore." And maybe looking up the definition. For others, the Lord may give you a couple pages of direction and promises, things to look forward to or prepare for! But here is what the Lord put on our hearts for you! I get this picture in my head of God and all of Heaven’s choirs singing joyful songs of identity over His people in 2018. Before His return, I believe He wants His kids to walk with such a confidence and authority of who they are in Him. He loves each daughter and son intimately and extravagantly and in 2018 the body of Christ is going to get a fresh revelation of that love. As you come into the reality of what that supernatural uncomparable love is, He is going to give you fresh vision of who you are in Christ. I see the I Am Fruitful community seeing every situation, and diagnosis through the lens of Heaven. I see in 2018 the I Am Fruitful community taking off weights that many have been carrying for as long as they can remember. After the weights come off I get this picture of a woman laying bare before the Lord, wearing no weights, and I see Jesus walking up to her and handing her the most extravagant and beautiful bouquet of flowers, it has every kind of flower in this one bouquet, and He made it just for her. I also see Jesus suiting this woman up in the armor of God. The bouquet signifies His intricate and detailed love. Every flower so different and so beautiful…every flower is a representation of why He loves her. She is worthy of that love. The armor represents the warrior He sees her as. Every piece of armor represents a different way to combat the enemy. As Jesus suits her up with each piece of armor she understands her place as a daughter of a King, and she is bold and strong. I hear the Lord saying over the I am Fruitful community, “Don’t get preoccupied with everything else, but seek me first, Pursue me first, With every ounce of your being set your gaze to me.” As you throw off the weights, turn your ear to the songs of heaven, receive His elaborate and personal love, put on your armor and turn every bit of your focus to Jesus, you will walk in the identity and confidence as a Daughter and Son of the Most High. the Bible says that everything else has to come into alignment with what the Kingdom of Heaven’s perspective is about every situation in your life. Walk in boldness, authority and confidence because the Most High God, creator of the whole world made you to be like Him. God is the same, we are not. God is the same, our circumstances are not. God is the same, our problems are not. On your best day, God. On your worst day, God. The God before your problem is the same God during your problem and He will be the same God after. The enemy would love for you to believe that God has changed along with your circumstances. That as your prayers have gone unanswered, God has become more distant. That on your worst day, God has retreated. That in order to get Him back, you must work, toil, and DO. That is not our God. God is the same. Yesterday. Today. Tomorrow, He is the same. From that day on the cross, He is the same. His love is the same. From the moment you He knew you and knit you, His love is unchanged. The Lord highlighted the song “O Holy Night” for the I Am Fruitful Community, and yes, I know it's a Christmas song. But I believe God will carry this Christmas theme throughout your 2018. I believe the Lord wants to take you on a journey this year. A journey to take you deeper and really show you what you mean to Him and who you are in Him. I believe He desires to usher you into a deeper understanding that He came to this earth to live and die for YOU and that He's always with you. When you realize your value to Him, and understand your worth in the Kingdom- you will experience that “thrill of hope.” That love- it will envelope you. It will give you hope for your future because you know that God is FOR you! I believe that in 2018, God will break chains that have held many of you bound and you will be freed from oppression. In 2018, you will sing songs of JOY! Breakthrough will come through your praise! Don’t wait to praise Him until after you experience breakthrough! Praise before! I believe God wants to carry this powerful oppression-ending, chain-breaking, joy-filling theme into your new year!! There was a time in John 11, where a woman like me was waiting on Jesus full of the same hope and faith that He would come…until He was late. She wasn’t infertile, but her brother was dying. Lazarus was sick but I can imagine that Mary was believing that Jesus, the Son of God, who loved her would come for him. JESUS, the one who raised the dead and released healing everywhere He went, would surely come for his friend. Before we read this verse and think that God is putting us through this season so that He can receive the glory, lets put that lie to death. Death is not where God got the glory but resurrection. He is always about our healing. Your victory is His glory, not your pain. But when He heard that Lazarus was ill, He stayed two days longer in the place where He was. Excuse me, what? Doesn’t love come immediately on a stallion yet here, it was His love that caused Him to wait. Have you ever gone to a restaurant and someone is seated before you that arrived after you? That is NOT FAIR and that is exactly what Jesus does in this situation. He is being called and purposefully not coming. Wait. This is a word that we cringe hearing especially if the waiting time is unknown. Waiting ultimately feels like our control has been stolen because that’s exactly what satan does when we encounter illness. He starts putting in files of disappointment, which births a season of reasoning. He can infiltrate lies and steal our control, but he cannot steal God’s authority or truth. Jesus was not manipulated by people’s burdens or controlled by time. He didn’t focus on the problem but the purpose. So Lazarus died and perhaps her hope didn't die out instantly with him. Maybe she whispered to her friends, "It's okay guys, I know He is coming." After all He had raised the dead! It wasn't a matter of what she believed He could do, it was if He would show up. The Jews belief spread throughout the land that the spirit lingers after 3 days of death and is able to resurrect in that time frame so when Jesus finally came on the FOURTH day, He was considered TOO late because resurrection was no longer "possible." Many of the Jews had come to Martha and Mary to console them concerning their brother and I wonder what their consolations sounded like? Or, ”Mary, don't doubt the goodness of God." I don’t know what things have been said to you in your season of disappointment but when Jesus finally came, Martha went to greet Him and Mary remained seated in the house. Maybe she wanted to make Jesus wait like He made her wait. The shortest verse in the Bible and the most profound. Encouragement or Discouragement but Jesus did what was needed most: Empathy. He KNEW that in a few moments He would raise Lazarus from the dead! But it was intricately important for Him to show the world how to grieve. Fully man. Fully God. Fully grieving. Not numbing. Not stuffing. Not denying. Not hiding. Not smiling. Not wiping the tears from her eyes but wetting His own. In that moment, He was healing her before He ever healed Lazarus. What if that was His purpose? What if healing her was His glory? In that moment, He was teaching centuries, that grief is not giving up on God. It's right there in the midst of your pain where He shows up and weeps with you. That barrenness can actually birth so much life in you. That your pain can grip you at the same time His love can grasp you. What an emotional experience. What an extravagant encounter. How long have you been in the waiting room? How many people has Jesus touched before you that have tried after you? How many prayers have been sent for Him to come? The waiting room may be a time where you give up, get down, get jealous, get angry, and get hopeless but if you look beside you…you will see the man who’s God, crying with you, greeting you with hope again. And your heart will begin to believe that hope isn’t a set up for disappointment but rather prophesying your future victory. And the time you get enough faith to pull out a pregnancy test and it’s negative, it is proving that you still believe that He will come! He may be late but love always comes. 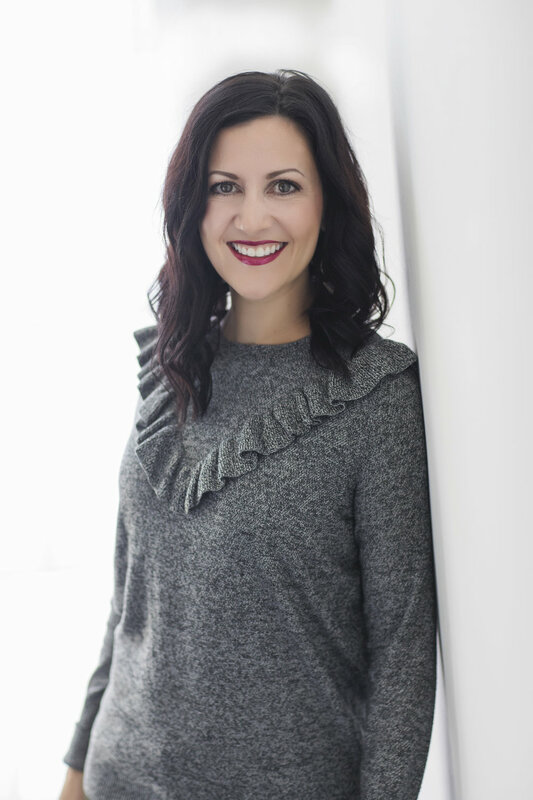 A huge thanks to our guest author, Bethany Kuenzli, for taking the time to share her heart and her wisdom with the I Am Fruitful Community!! More than a writer, speaker or worship leader, Bethany is a lover of God. She lives in Mississippi with her husband Caleb and toy golden doodle Graham, where they work together as Co-Directors of a non-profit called Land of the Living. They equip a generation to connect with their heart & the heart of God by hosting "Rekindle Retreats” for all ages. It tells us that after we make thankfulness a sacrifice to God, THEN we call on him when we're in trouble and He'll rescue us!! Psalms 116:17 (The Message) "I’m ready to offer the thanksgiving sacrifice and pray in the name of God." Share and do this with your friends! Pin so you can do it with us next year! Sign up with your email address to be the first to know when we have a new challenge. Our amazing Hailee Seiwert, who does most of our graphics, put a few FREE phone backgrounds together for you! No logos or sales pitch here. Just images to remind you that God is near to the brokenhearted and that the joy of the Lord is your strength! We want to encourage you to fill your mind with truth during National Pregnancy and Infant Loss Awareness Month (PAIL). If you have experienced the loss of a baby, we are so so sorry. Many of us on the I Am Fruitful team have experienced loss as well, and we are here for you. Click the link below to submit your prayer request and our dedicated prayer team will lift you up in prayer for 4 weeks! Simply click on the image and click save. Then go to your phone settings and make the image your background! We are excited to share with you that I AM FRUITFUL is participating in Communities Foundation of Texas’s ninth annual North Texas Giving Day, which is TODAY! This is a one day online giving extravaganza to benefit non-profit organizations and ministries that are dear to our hearts. Last year, more than 2,500 organizations in 16 counties came together to celebrate North Texas Giving Day and raised over 37 million dollars! We invite you to join the movement and help us raise funds on September 14. As you know, our organization was created to inspire hope in those who are trying to conceive, dealing with infertility, or suffering through loss and miscarriage. The North Texas Giving Day helps us provide even more services to North Texans. Our desire is to become a leading resource for Christian couples trying to conceive. We are on a mission to shine God’s light and truth so brightly into the infertility community that it cannot be ignored! Can we count on you to help us take things to the next level? We are so excited to be participating in North Texas Giving Day this year!! Testimonies are constantly rolling in of God's faithfulness and how I Am Fruitful has made an impact! We need your support to accomplish these plans!! You can schedule your gift TODAY by clicking below! We are so excited to announce that I AM FRUITFUL will be included in North Texas Giving Day as a non-profit this year! The potential is HUGE!! 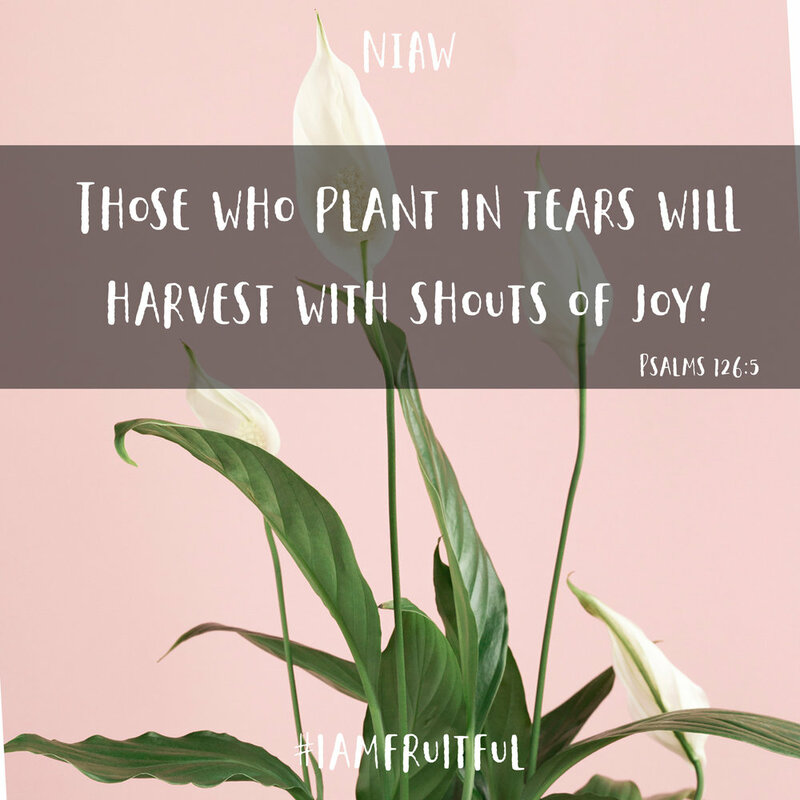 If you are new to I Am Fruitful, we provide resources, groups, support, and encouragement to couples struggling with infertility and going through infant loss and miscarriage. We steward our funds as if they are our own, and we desire to glorify God with every dollar. North Texas Giving Day is September 15, and we need your help in spreading the word! If you have struggled to grow your family, you KNOW how isolating, lonely, and desperate that season is. We are making a mark in the Kingdom and in this community! Baby Loss Care Packages are sent out when we hear of a loss. Coloring Books provide a tangible resource during grief. In-person Group is a place for growth, encouragement, and fellowship. We give free resources, including around 1,000 downloads of our free devotional. Reach over 14,000 people DAILY through social media encouragement. Speaking and sharing the truth at events around the country. Prayer and Prophetic Teams pray for specific needs and share words of encouragement. Your donation MATTERS! It helps us to provide care packages, it allows us to continue offering prayer teams and groups and free resources. It helps to bring AWARENESS! It allows us to grow and expand our impact. When you give via NorthTexasGivingDay.org, your donation goes further with bonus funds and prizes. All donations scheduled between September 7th and 13th or made between 6am and midnight on September 14, 2017 qualify. Your donation triggers opportunities for your I Am Fruitful to win prizes rewarded at random or for the highest number of donors! This year every dollar given up to $10,000 will be multiplied with bonus funds when donors give online through NorthTexasGivingDay.org. Set a reminder and schedule a gift on September 7th or give on September 15th! Share this link on social media and let your friends know what this means to YOU. Share your story, your struggle, or how I Am Fruitful has encouraged or supported you! We are in her kitchen, washing dishes between conversations with the various women who have dropped by for an evening of jewelry-making and friendship-forging. For years, we have been bringing women together for fellowship and camaraderie, playing to both of our strengths—her as a hostess, me as a deeper-conversations sort. She nervously tells me she thinks she might be pregnant. She hasn’t tested yet, but she has a hunch this could be the month. My heart swells with excitement for her. They’ve been trying for a while, but haven’t stressed about it. Both are eager to welcome a baby. A few days later she tells me. “Not this month,” she sighs. I’m sorry, I say, and I mean it. She’d be the best mom. A few weeks later, it is me that has pink lines for the fourth time. I’m a little timid about telling her because it is uncomfortable when mom-with-multiple-other-children tells friend-who-is-still-waiting-for-one that we will be having our fourth baby in March. Still, she smiles and hugs me, and cheers me all through the pregnancy. Still no pink lines for her. For months, we pray and cry, and I fumble my way through trying to support her, always feeling like I come up short because I can’t fix the situation. I can’t do much except listen and pray and continue tenderly walk through the waiting along with her. I give birth and try to figure out the chaos of four kids in my house. Two boys and two girls. It’s all so perfect, everyone says. Surely we’re done. I think we are for a stretch of months until I hear God asking me to surrender my plans. I will, I say to Him. I will receive what You give, Lord, even if that means another pregnancy, and another round of that humbling place of giving my body to the very challenging task of childbirth. I pray and try to encourage my sweet friend who is still waiting and still hoping with the best attitude she can muster. She is having a baby! My number five is on the way. We’re excited for each other, and it all feels so wonderful to take this journey together since we’ll be due in the same month. She’s 11 weeks and eager to see her baby on ultrasound at her OB appointment. I’m a week behind her and feeling the nausea and exhaustion of the first trimester. I’m waiting for her call to gush about the little bean-baby she is growing, except when she calls, she is suddenly solemn. I am dumbfounded. Stunned. Reeling. “I’m sorry,” I say several times, unable to find any other words while she cries on the other end of the line. It seems unfair that I would be carrying another child, my fifth, while her hopes are crumbling with the loss of the baby she wants, but will never hold this side of heaven. I feel powerless to help her through the grief, but I stay close, hoping to hold her up as I’m able. I make a necklace with her baby’s would-be birth month stone (the same month I will later give birth myself) and give it to her in a city park where we meet up for my kids to run wild on the play structure so we can have just a few minutes to talk. I feel unsure that it will help at all, but I feel like if I can’t acknowledge the life that she has carried and lost, awkward as it seems, that I would not be loving her well. She says she thinks of this baby as hope; hope that God hears her. Hope that this is not the end of the story. Hope that one day, she’ll be through this valley to a sweeter, more joyful place. I am conflicted for months. I struggle to accept the loss of her baby while my baby is growing safely in my womb. How can I rejoice in the life I carry when my dear friend weeps through years of infertility and now this heartbreaking loss? Every time I pass my weekly gestational milestones, I think about her loss. I feel guilty that I am not bonding with my baby. Over the years, other friends who struggle with infertility distance themselves from me. I understand why, but I always feel sick about it. What can I do? If given the opportunity, I would journey with them too. It’s too painful to be around you and your beautiful children, they say. I feel sad that I can’t care for them in their difficult days the way I desire to. But this friend didn’t distance herself. She pressed in. She showed up to my kids’ birthday parties, and she came to my house to care for my other four children while I gave birth at home to my fifth little love. She sat upstairs with my kids, watching a movie at higher-than-normal volume to muffle the noise of me screaming out a nine-pound baby downstairs in our finished basement. She was the first person to see me after that birth and held my newborn daughter less than an hour after her arrival. I showed up for her throughout the seasons too--in different but equally important ways. We embraced each other through everything, and our friendship has surprised me. A few years later, I now have six kids, and my sweet friend is now the mother of 2 little ones, a boy and a girl—the miraculous answers to years of prayer and waiting. A friend loves at all times—in the valleys and at the mountain tops. We’ve seen both, and continue to be beautifully enriched by the friendship we share. Jesus fall like rain on the TTC community today as we lift up your name and praise you. No matter what the circumstance, no matter what the hurt, no matter what the scars, you make ALL things beautiful in your mercy and love. Check out this amazing resource to dig into God's Word! My name is Ashley aka @magmagandme. Summer is a fun time in the Bible Journaling world! So many things we see remind us of God's love for all of us. Over at MAGNOLIAMAGENTA.COM we have splashy happymail exchanges, encouraging embellishment kits, drawing tutorials and monthly Bible Journaling Kits that will help you dig into God's word! Here is a peek at some of our goodies in action. Lauren here! As you know, we've got several weeks of creative inspiration planned for you!! We want to encourage you to tap into your creative side as you learn to worship God in different ways. It's also a really fun distraction if you're in a season of waiting or sadness. If you want to start Bible journaling or take your creativity to a new level– I highly recommend EVERYTHING Ashley has on her website. It's all high quality and has completely inspired my creativity. I bet it will inspire you as well!! If you want to start Bible journaling, MagnoliaMagenta.com is a great place to start! I will never forget the day I saw Lauren post about this amazing journaling bible called, The Message Canvas Bible, by Eugene H. Peterson. Immediately I began to feel a stir in my heart that I needed to invest in one of these bibles. You see, I am one of those girls that always had a journal. I would journal pictures, stories, sermon notes, and things the Lord was telling me. After having children, I started to get behind on my journaling and I just knew this bible was something that would get me back on track! That night I randomly mentioned to my husband that I was very interested in having one these bibles. I figured it would be great a Christmas present or birthday present and wasn't expecting him to get it anytime soon. My sweet husband, Brandon, just smiled and nodded and agreed that it would be perfect for me. Literally the NEXT DAY Brandon came home with a bag. He told me to open it. It was my own journaling bible!!!! I cried tears of joy and was so excited to dive into this new journey. This year one of my goals was to spend more time learning and meditating on scripture but at the same time I was having a VERY hard time getting motivated as well as remembering them. Since I am a visual learner I often struggle with just hearing the verses. I need to see them, write them, and meditate on them. Once I started coloring the verses in my bible, they came to LIFE! Every detail of the picture helped engrain the verse in my mind. As I colored the verse I would say it over and over and I felt a love for the Word come alive in me again. It's amazing how God used a simple tool such as map pencils and paper to make His word come alive in me. I'll never forget when God reminded me of something very sweet and delicate. I was coloring every little detail on my verse and I suddenly felt this overwhelming feeling of how God cares for EVERY detail of our lives. I know we hear this all the time but it finally felt real in my heart! He does care! The first verse I colored was, "You're the God who see me" from Genesis 16 (msg). Immediately, He laid this Psalm 139:14 on my heart. I could already see how He was bringing verses to my mind and weaving the Word together in my heart. It truly is amazing how much the Lord cares for EVERY detail of our lives and that we are fearfully and wonderfully made. I'm so thankful He led me to this bible and that my excitement and desire for the Word has been strengthened. Worship can come in many forms and I challenge you to find what stirs your heart as you mediate and learn from the Bible. For me it was simply coloring and enjoying my time in the Word. This Bible has changed the way I read scripture, the way I meditate on scripture, and the way I remember scripture. Lauren here! 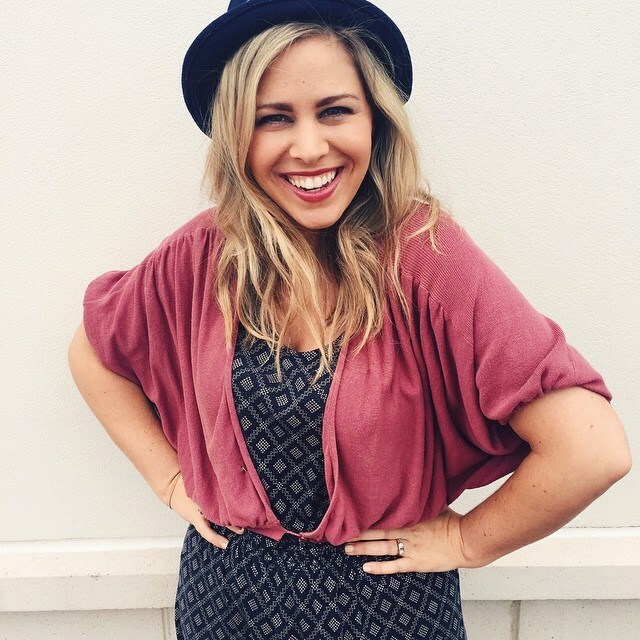 I'm so grateful to my friend Jess for taking the time to share her heart! I love that the Word came alive for her again after she began Bible journaling!! Over the next few weeks, we'll be focusing on our creativity and how it can be used to worships and grow closer to God! I'll post a link below so you can find a good Bible and join us!! Stay tuned, because we'll be posting a journaling challenge soon!! Check out our coloring book below!